After the significant progress in the completion of the rail line in the state of Jammu & Kashmir, the Indian Railways endeavours to extend the socio-economic benefits of rail transportation to other remote areas and challenging terrains of the hilly states (HP & J&K) where development is scarce. Amongst the various socially desirable projects in the country, Bilaspur-Mandi-Leh Rail Line (route length 498 Kms) constitutes great significance. The project is of both strategic and economic, development and tourism importance, with its unique distinction being the highest railway track in the world. ccasion. Shri R.K. Kulshrestha General Manager, Northern Railway and other Senior Railway officials were also present in the function. Leh is the most important town in Ladakh region of J&K State having approximately 1.5 lakhs population. It has a high footfall of Indian & Foreign tourists each year. The district Leh is the second largest district in the country with elaborate Army Establishments and is the Headquarter of 14 corps. The region being a cold desert, the temperature during the winter months (Oct-Mar) plummets down to well below freezing point. The road connectivity to this area is gets cut off from other parts of country due to heavy snowfall, thus necessitating all weather rail connectivity both for strategic as well as socio-economic needs. Mumbai’s famous Chhatrapati Shivaji Terminus (CST), which witnessed the running of the first train in India, has been renamed. Known as VT or Victoria Terminus, the station will now be known as Mumbai Chhatrapati Shivaji ‘Maharaj’ Terminus. The new name is a result of a unanimous resolution passed by the Maharashtra Assembly after the Shiv Sena demanded a change of name. Built in 1887, the station was initially named after Queen Victoria to commemorate her golden jubilee. In 1996, during the first Shiv Sena-Bharatiya Janata Party (BJP) government, the station became Chhatrapati Shivaji Terminus as a tribute to the iconic Maratha king. This is the fourth name change of one of the busiest terminals of the Indian Railways, this time in the honour of the great Maratha warrior king. The Maharashtra Assembly resolution also recommended adding ‘Maharaj’ in the name of Chhatrapti Shivaji International Airport (CSIA) too. There has also been a demand for changing the Western Railway’s Elphinstone Road station to Prabhadevi, dedicated to Goddess Prabhavati Devi, whose 12th century idol is installed in the modern temple, now over three centuries old. The changes are expected to come into effect in the near future. The station is one of the iconic structures in Mumbai, the headquarters of the Central Railway. It handles over 30 lakh commuters daily and has been immortalized in several films. The CST had made international headlines when terrorists attacked the station nine years ago in the Mumbai terror attacks, killing 58 and injuring 104. Aiming to provide a delightful travelling experience to the picturesque Kashmir valley, the Railways today announced a Vistadome train which would also serve the famous Kashmiri ‘Wazwan’ to the tourists. “Tourists need to enjoy the beauty of the Valley,” Union Railway Minister Suresh Prabhu said. He also stated that the Kashmiri cuisine would make it to the catering list of the railways. “The chief minister (Mehbooba Mufti) and I have talked about how to increase tourism by virtue of railways. So, we will soon start a Vistadome train because I do not think there is any other place in the whole world like Kashmir,” he said. “When people come to see the beauty of Kashmir, how will they see it sitting inside a train? So, we will launch it here. We have placed an order with our coach factories for the Vistadome train,” he said. The union minister was speaking at a function, after remotely laying foundation stones of five new halt railway stations on Baramulla-Qazigund rail section, at SKICC. The new halt points are at Sangdan, Monghall, Ratnipora, Naidgam and Razwan. He said Prime Minister Narendra Modi has stressed that Kashmir is very important for the government. So, this is a small gift from the railways to provide “succour” to the people of Kashmir, he said. The Chief Miniter pointed out that five stations were needed. “I had nothing else to give on Eid, so I thought let’s make a start by these stations. Though late, I wish you Eid Mubarak and with these stations, more people will be connected. It is the start of a new life and start of a new era of development here,” he added. Mr Prabhu said the railways would start serving Kashmiri food as well as the handicrafts from the valley in the trains soon. “The food here tastes so well and I think we cannot find it anywhere else. To let the people have the taste of the Kashmiri food, we will start serving Kashmiri food via e- catering through IRCTC,” he said. Similarly, the Kashmiri handicrafts, which are famous world over, will be e-marketed through IRCTC so that people here get employment, he said. He said railways would help in the development and prosperity of the state. “The biggest worry of our countrymen, Modi-led government and the state government is how to provide jobs to the people here, how to make people prosper and flourish the tourism sector in the state. “For all this, connectivity is a must. I remember the former chief minister (Mufti Mohammad Sayeed) asked me to connect Kashmir with Delhi. “I told him that we will not only connect Kashmir with Delhi, but also with our hearts,” Mr Prabhu said. On the occasion, Chief Minister Mehbooba requested Mr Prabhu to provide a halt station at Naina Batpora area in south Kashmir’s Pulwama district, the demand made by the locals present at the function. The union minister assured the people that the halt station would be provided. Mr Prabhu earlier paid obeisance at the Amarnath Cave shrine and prayed for the peace in the state. “I paid obeisance at the Amarnath Cave shrine (this morning) and prayed for the peace of the people and for the strength to the central as well as the state government to work for the betterment of the people so that Jammu, Kashmir and Ladakh becomes the best developed region in the country,” he said. The Indian Railways collected Rs 1,407 crore through cancellation of reserved tickets on the request of the commuters in the fiscal year 2016-17, registering a 25.29 percent rise over previous year’s earning under this head. This information was revealed by the Centre for Railway Information Systems (CRIS), an autonomous organisation under the Ministry of Railways, in response to a query under the Right to Information (RTI) by activist Chandrashekhar Gaud. “In its reply, the CRIS informed that earnings through ticket cancellation has gone up to Rs 14.07 billion during fiscal 2016-17, from Rs 11.23 billion in 2015-16. The earnings under this head amount were Rs 9.08 billion in fiscal 2014-15. This information is provided under the Passenger Reservation System (PRS),” Gaud told PTI on Wednesday. The Railways is also earning revenue through the cancellation of unreserved tickets. As per the RTI reply, the Railways earned Rs 17.87 crore in fiscal year 2016-17 through Unreserved Ticketing System (UTS). This amount was Rs 17.23 crore in fiscal year 2015-16 and Rs 14.72 crore in fiscal year 2014-15. Gaud said the rules related to the refund on cancelled tickets were changed in November 2015 under Railway Passengers (cancellation of tickets and refund of fare) Rules 2015, under which cancellation fee was increased up to two times. 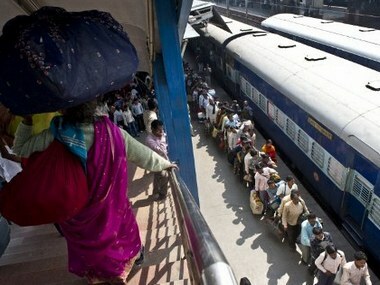 Gaud said the Railways should change the rules for the refund in the interest of passengers. The Indian Railways’ Passenger Amenities Committee has given an in-principle go-ahead for printed tickets to be made available in the local language, apart from Hindi and English, from January 1, 2018. “We had come across so many people in Tamil Nadu who had had problems with their tickets — there were people who didn’t know if they had the right tickets, there were people who didn’t know if they were in the right train. In some cases, people paid penalties for no fault of theirs — because they couldn’t read what was printed,” Achary told News18. “I told them, this is not acceptable in a digital era. Railways is the nation’s largest service provider. Today you have cellphone companies who give services in three languages when you call their toll-free number. Is it not our duty to bring in the third, regional, language in States that don’t speak Hindi,” Achary said. The software will be updated by the end of the year, and this would be applicable for all classes of journeys, and would be for passenger tickets bought manually at counters — and not those booked online (online tickets can be booked anywhere in the world — so a regional language would be difficult to implement there). The move evoked a lukewarm response from activists who have been holding campaigns against Hindi imposition. Karnataka, that has seen the most vociferous protests against the Central government’s attempts to ‘push Hindi down people’s throats,’ as it were, were cautious in welcoming the move and are waiting for the full order of the Ministry of Railways to get more clarity. “It may be a momentary relief to hear that Kannada will be seen on railway tickets, but the fact that Kannada tickets are available in Karnataka, but Hindi tickets available everywhere in the country, remains the same. We still welcome the positive action taken,” said Vallish Kumar, who had spearheaded the #HindiBeda campaign in Bengaluru last week. “If not for the pressure of achieving Hindi usage targets set by the official language implementation committee, the Railways would have stopped their fascination for Hindi long back and would have focussed on providing services in people’s languages across India,” Shetty said. Going green, the Indian Railways is stepping up efforts to reduce emission by 33% in the next 10-12 years through sustained energy efficiency measures and and maximum use of clean fuel. Promoting low carbon mass transportation system, the Railways will be using 5% bio diesel and CNG/LNG for traction while stepping up use of renewables up to 10% of its energy needs by 2030. Besides, state-of-the-art energy efficient locomotives and regenerative braking system will be the order of the day for the Railways to reduce emission level considerably. 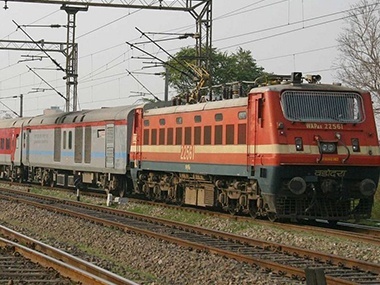 The Indian Railways is 12 times more energy efficient in freight traffic and three times more in passenger traffic compared to roadways, said a senior Railway Ministry official involved with green initiatives undertaken by the public transporter. Use of renewable sources of energy will be promoted for which a big target has been set to achieve 1000 MW of solar power and 170 MW of wind power installed capacities. While about 20 MW of solar power plant on roof top has already been commissioned, wind power of 36 MW has been commissioned. In order to reduce carbon footprint, a low carbon growth strategy has been adopted to reduce emission intensity by 33% by the year 2030 with 2005 as the base year by improving traction fuel and energy efficiency, he said. On the water front, the national transporter has decided to recycle water and promote rain water harvesting systems and revival of water bodies across the country. There is a concerted efforts for increasing forest cover on railway land. The target of tree plantation on rail land is 5 crore trees in the next three years. “This year 1.2 crore trees have been planted against a target of 1.15 crore,” the official said. Railways have also commenced recycling of solid waste and generating energy from it. Fitting bio-toilets in its entire 55,000 strong fleet of coaches by 2019 is another green initiative of the Railways. The Centre is mulling linking neighbouring countries like Bhutan, Myanmar, Bangladesh and Nepal through the railways. This was announced here Friday by Railway Minister Suresh Prabhu at a programme where an agreement was signed between the Indian Railways and UNESCO. “We have neighbouring countries like Bangladesh, Bhutan, Myanmar and Nepal. We have a very cordial relationship with them. We want to increase railway connectivity with these countries. We are trying to develop it,” Prabhu told reporters. “If a circuit can be made connecting these neighbouring countries, it will increase interaction, tourism, trade, employment and connectivity,” he added. Prabhu said work was on to connect all the eight state capitals of the north-east, so that the tourism potential of the region gets a boost. Horticulture, floriculture, handicraft of the region would get a bigger market after the state capitals are connected with the rest of the country, the railway minister said, adding that he would visit Sikkim and Arunachal Pradesh in the next two days. Prabhu said investments of Rs 3-3.5 lakh crore would be made in the railways while the amount had been Rs 35,000-40,000 crore a year earlier. This will bring development in the functioning of the railways, he added. Passenger sends cheque of Rs 950 to Railways foregoing fare subsidy! The Railways is in a fix over a cheque of Rs 950 sent by a passenger apparently to give up the subsidy borne by the government on the train fare between Jammu and Delhi. Currently, the Railways bears 43 percent of the cost of all rail fares even as the public transporter incurs a loss of about Rs 30,000 crore every year in subsidising passenger fares. In order to make passengers aware of the subsidy burden on the fare, it had started printing – “Indian Railways recovers only 57 percent of cost of travel on an average” – on the computerised printed tickets issued to passengers since June 22 last year. Recently, a person travelling from Jammu to New Delhi saw the message written on his ticket about the 43 percent subsidy borne by the Railways during his train journey. He sent the cheque along with a letter addressing the railway minister stating that “he will never avail such financial benefits in future”. “But foregoing senior citizen concession is voluntary now and we are planning to make it broadbased covering other categories as well,” he said. The Railways recovers only 57 percent of the expenses incurred for passenger transportation through sale of tickets of all classes. The Railways thus aims to convey a message to passengers that they have been given a subsidy of 43 percent, or in other words, the transporter is incurring heavy losses to the tune of 43 percent for ferrying travellers. The Indian Railways will soon become more environment friendly and will cut down its dependence on conventional fuel such as diesel by further track electrification, said Railway Minister Suresh Prabhu on Monday. He was speaking after releasing the 2016-17 annual report on ‘Environment sustainability of the Railways’, on the occasion of World Environment Day. The Minister also released a new water policy to ensure efficient use of water by the Railways. “Reducing dependence on conventional fuel is our priority for environment conservation and we are targeting electrification of the railway tracks so that the use of diesel may get nominal,” said Prabhu adding that track electrification will reduce emissions by a significant extent. The Minister also said that the Railways has created a separate environment directorate and is working with the United Nations Environment Programme. Stressing on “going green”, the Minister said the environment conservation can help in boosting the economy. “The Railways will be saving Rs 300 crore a year through a concerted effort to conserve water and restore water bodies on rail land across the country,” Prabhu said.